IFC, a member of the World Bank Group, is investing up to €25 million in equity in Gorenje, the largest household appliance manufacturer in Southeast Europe, to support the company’s restructuring, accelerate research and development of environmental friendly products and services, and preserve jobs in the region. 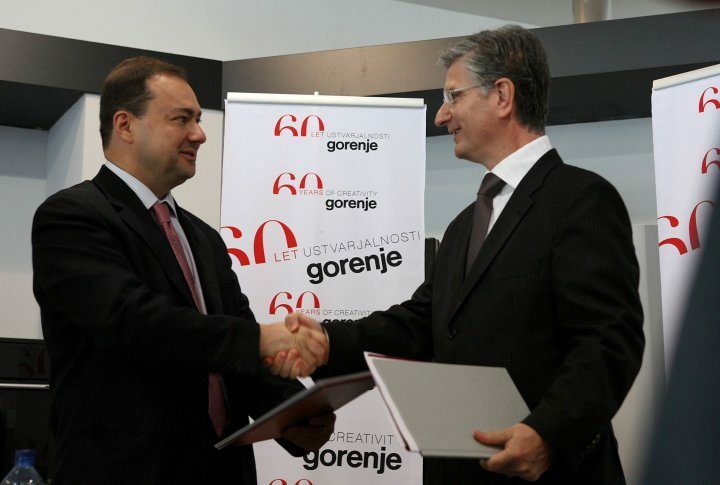 IFC also is providing a €50 million loan to Gorenje and will mobilize up to €100 million through syndications. The investment package will help Gorenje update its operations, which should result in better product competitiveness, enhanced high-end product range, and improved labor productivity. "IFC’s participation as an equity partner will support Gorenje’s stable medium- and long-term business growth," said Franjo Bobinac, President and CEO of Gorenje. "The acquired resources will be used for acquisitions, as well as to restructure existing activities and accelerate development of new activities." Dimitris Tsitsiragos, IFC Director for Global Manufacturing and Services, said, "IFC’s investment will support Gorenje’s long-standing leadership in the industry by helping it expand and modernize its operations following the economic crises. And we strongly support the company’s growing focus on ecology and improved waste-management solutions." Additionally, IFC will provide advisory services to improve operational efficiency and will assist the company in expanding its energy efficiency efforts. Gorenje’s expansion and upgrading will allow the transfer of first-class production methods and manufacturing practices through linkages with networks of local suppliers.